Manuel Illan was a member of Esclarecidos, one of the Spanish bands that set up the legendary independent label Grabaciones Accidentales, the highly collectable home to, amongst others, Finis Africae, a group that included both Javier Bergia and Luis Delgado. 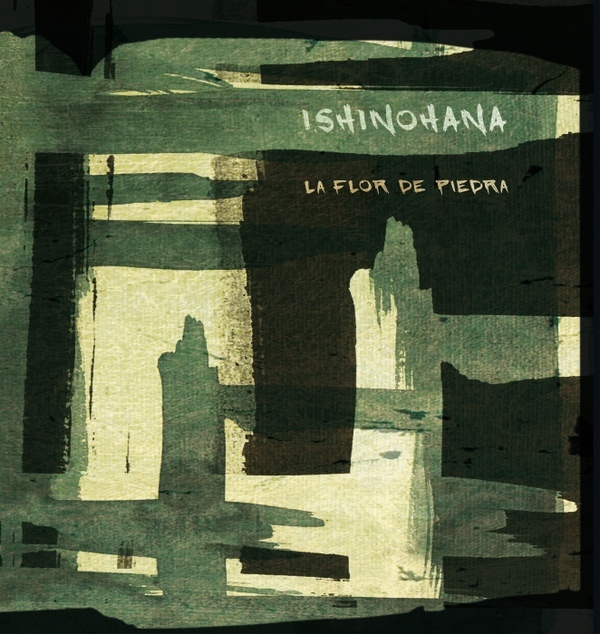 These three multi-instrumentalists came together for one record as Ishinohana (translates as “stone flower”, as does “La Flor De Piedra”), a project which credits Bergia with drums and Delgado and Illan with guitar. “La Flor De Piedra” is basically all drums and guitar, well percussion and guitar, percussion that includes tabla and gong. If you were looking for my usual stream of references then an obvious one would be Bergia`s solo work (he`s listed as the producer here), and the mix of “worlds” would allow me to bring in Café Del Mar classics like Bombay Hotel`s “Between Leaves”. The eastern nature of some of the melodies would also twin “La Flor De Pietra” with the recent Barthel, Bohm & Bauer collection on Growing Bin. Less experimental than Finis Africae`s ambience, to my ears “La Flor De Pietra” has something more in common with Pop acts like Crowded House and The Smithereens (though there are no vocals here); open chords ringing, chiming electric arcs thrown out, painting (early) U2-esque landscapes of wide (awake) open spaces (which the track “Delta” gallops through). If you are looking for standouts, then I could give you “Ishinohana” and “Lucia”, both of which are beautiful in isolation, but really this record needs to be listened to as a whole. It`s forty-one minutes serving as a perfect escape, a brief moment out of time, whatever your surroundings.